Direction of Use: Apply to wet hair, massage in and rinse thoroughly. Repeat if necessary. Continue with KRS Hair Tonic for a better result. 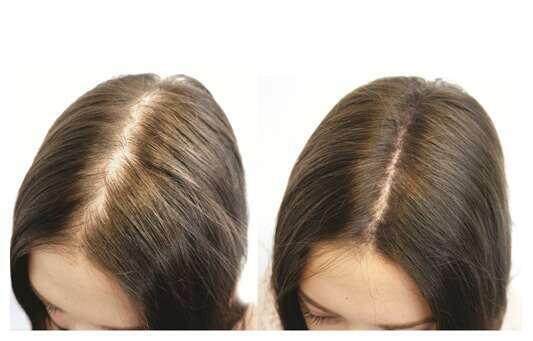 (2) KRS Hair Growth Stimulating Hair Tonic is an intensive and concentrated lotion to prevent persistent hair loss. It contains special botanical extracts to improve scalp blood circulation to encourage of hair growth and strengthen the scalp to avoid falling hair. Direction of Use: Clean hair with shampoo. Towel dry the hair and scalp. Apply a generous amount of KRS Hair Tonic onto the scalp, Massage gently for 2 minutes and styles as usual. (3) Vitamin E Hair Oil contains the micro vitamin E and amino acid which deeply infuses into hair shaft and porous areas to reinforce damaged fibres and to permanently strengthen and recover structure of the hair. It also replenish loosen moisture to the hair due to excessive chemical process; hair becomes shiny, smoother, softer and manageable. Direction of Use: Apply 2 or 3 drops of Vitamin E Hair Oil in the palm of your hand and massage on damp or dry hair.